My chakra readings, as with all my work and the teachings of The New Human, are intent based, meaning that the energies here will align with where you are and form a synergy of intent, so that you get exactly what you are able to integrate and work with at this time. The frequencies in our journey toward 2012 and into the New World are increasing in power, which means our physical bodies are having to adjust to a potent upgrade ongoing. So much is being pushed out of the way energetically in our fields of light so that new can come in. This affects people in different ways – emotionally, physically, your perceptions shift around in often non-sensical ways, etc. And of course, the event phenomena so many are experiencing across the globe connected to these new energies and shifts are intimately tied into internal changes, the rumblings, uncertainties and fence-sitting of humanity as it decides truly what kind of world and existence it wants, then acting accordingly. Chakras reflect the core dynamic of your light body. Every experience, choice, action and decision in your waking reality affects the state and balance of your energy centers ongoing. Chakra Readings are a true barometer of how you are progressing through your spiritual journey and awakening. A personal chakra portrait can reflect your true state of health, whether or not you are in your divine purpose, the state of your relationships and emotional climate, the strength of your connection to the Higher Realms and the power you are currently vibrating in affecting real change within your life and the world. Your thoughts may have one entire agenda going on based on life conditions, beliefs systems and social expectations, but your energy centers, the perfection of your chakra system will always direct you to the true nature of your spiritual capacities and growth. From the time I receive a request, I begin the preparation to receive your reading. 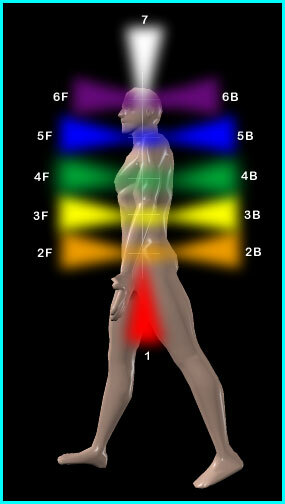 A thorough introduction of the chakra system is included at the beginning of your portrait. The chakras take 3 months to make a full rotation and so follow up readings are recommended every fourth month. Now more than at any other time in our evolution, understanding your energy body, knowing your vibrational capacities and abilities, and how much your everyday life effects your bio-energetic matrix is an invaluable awareness. Your energy centers work intimately with one another. As you learn to understand and work with the charkas through your everyday choices and actions, significant shifts can occur in every area of your life. Likewise, not attending to the inner shifts and changes that are occurring within the flow of your outer focus of reality can create dis-ease in the body that must be attended to and rebalanced. Your chakras are an intimate part of your being, they are present to give you guidance and information to keep you healthy, vital and whole. Your being is a vessel of joy when balanced. Understanding your chakra system gives you the power and insight on specific areas within your 3D reality to make certain that your personality identity is cooperating with your Soul’s purpose here. Each initial chakra reading is accompanied by a thorough analysis of each chakra, how the chakras are functioning within your everyday reality and a balancing and attunement session. Thank you so much! What a wonderful session I had today! I feel so light, clear and focused after my chakra attunement. My work was really different and better.